Have you or someone you care about been arrested in Holiday Florida and charged with DUI in violation of Florida statute 316.193? If so the quality dui defense team of Finebloom, Haenel & Higgins can help! Our Holiday dui attorneys are prepared to custom create a defense strategy just for you! No matter what circumstances led to your arrest you have options! By speaking with an experienced dui attorney Holiday arrestees take the first step needed in making the best defense decisions for them. Dui attorneys in Holiday realize that each arrest and circumstance is unique to the individual and so is each and every defense. A first time dui charge is a second degree misdemeanor. A second dui charge is a first degree misdemeanor. After that, your dui charge can be considered a third degree felony!!! All dui convictions are punishable by a minimum of 12 months probation, community service, dui school, drug and alcohol treatment, fines ranging from $500 to $4000 dollars, license suspensions from six months to lifetime, vehicle impoundments from 10 to 90 days and a maximum jail sentence of six months county time to five years in prison. The severity of your outcome depends on your breath or blood alcohol result and whether or not you have had prior convictions. In addition to the criminal sanctions listed above you can also face administrative sanctions from the Florida Department of Highway Safety and Motor Vehicles. Before you are released from the jail, the officer will immediately take your driver’s license and suspend your driving privilege for at least six months. This suspension takes effect 10 days after your arrest. If you refused to take the breath test, that suspension is extended to at least one year!! Without a dui attorney to help you challenge this automatic suspension, you could end up without a license even if your dui charge is thrown out in criminal court!! Under the current Florida laws, you cannot receive a “withhold” of adjudication for a dui charge. You must be adjudicated guilty. This means you must always disclose the conviction if asked on college, job or professional license applications. You also cannot expunge a dui from your record. When discussing your case with a Holiday dui lawyer, the dui lawyer can inform you as to all the possible sanctions you face if convicted. The dui lawyer in Holiday that you hire will also explain every defense option. It could be that you need to try to get the best deal possible. Or maybe you have a challenge to the stop, arrest or blood or breath testing result. You won’t know what is available until you discuss the details of your arrest with a dui attorney. This discussion will allow you to choose the best defense plan for you so that you receive the best possible outcome. At Finenbloom, Haenel & Higgins we realize there are a large number of dui lawyers Holiday residents have to chose from. We make sure that each and every one of our quality dui defense lawyers goes above and beyond your expectations both in the courtroom and in our service to you. Our attorneys are waiting for you! 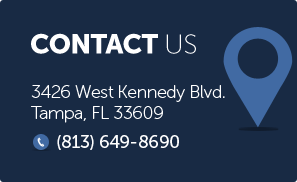 Call us 24/7 at 813-200-4412 to discuss your case. We are standing by to fight your case for you!